If you are wondering how to transfer photos from your iPod, iPhone or iPad to your computer, you've come to the right place. TouchCopy for PC and Mac can help you achieve this, by enabling you to copy photos and videos shot using your iPod, iPhone and iPad camera, as well as transferring photos synced to your device using iTunes. Clicking on the Photos button in TouchCopy will display all the photos on your device. 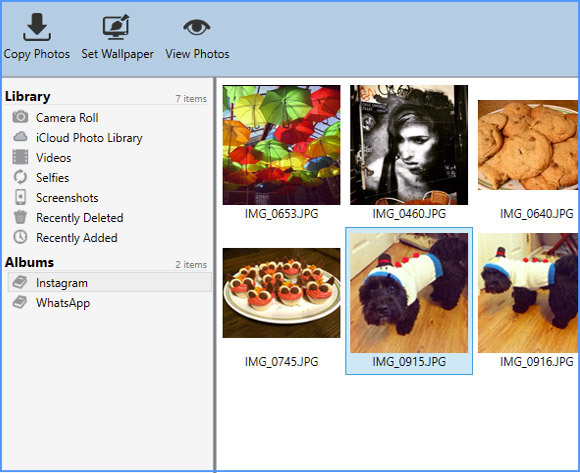 TouchCopy lets you browse around your photos and copy individual pictures or entire albums very easily. You will also find the photos and videos shot using your device camera under "Camera Roll" in TouchCopy. Here you can view your photos and watch your camera videos using TouchCopy’s interface. Copying photos to your computer is as easy as clicking on the “Copy Photos” button in TouchCopy. 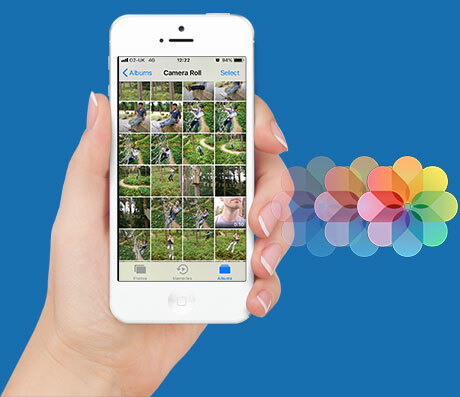 TouchCopy will save your photos in the same size and resolution as they are stored on your iPod, iPhone or iPad. Your photos will be saved in a .jpg format to a folder of your choosing. You can also select a photo on your iOS device and set it as your desktop wallpaper, all from TouchCopy's interface. For more information on how to transfer pictures from iPhone to computer or laptop, please see the TouchCopy User Guide. Copying your iPod, iPhone and iPad photos and camera videos is just one of the rich TouchCopy feature set. TouchCopy can also help you in many other ways, by enabling you to transfer your music and videos, Contacts, iPhone SMS and more. TouchCopy works with all iPod and iOS device models and does not perform any jail-breaking or modification of your device.